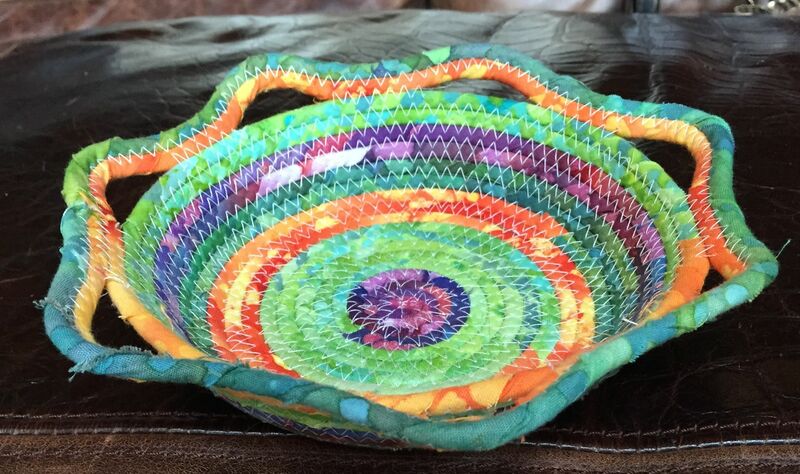 Making a corded bowl is Fun and Easy to do whether you are a beginner sewer or an expert. You decide how the bowl is formed, you choose the colors, and if you make a mistake, who cares it just adds a unique character to your creation. There are many videos on YouTube demonstrating how to make the corded bowls, so I am just going to show you some of the techniques and things that I learned from making them. The picture above is my second bowl I made, I thought the bowl needed a creative edge so I just played around with it, and this is what I came up with. It was easy and it was fun. 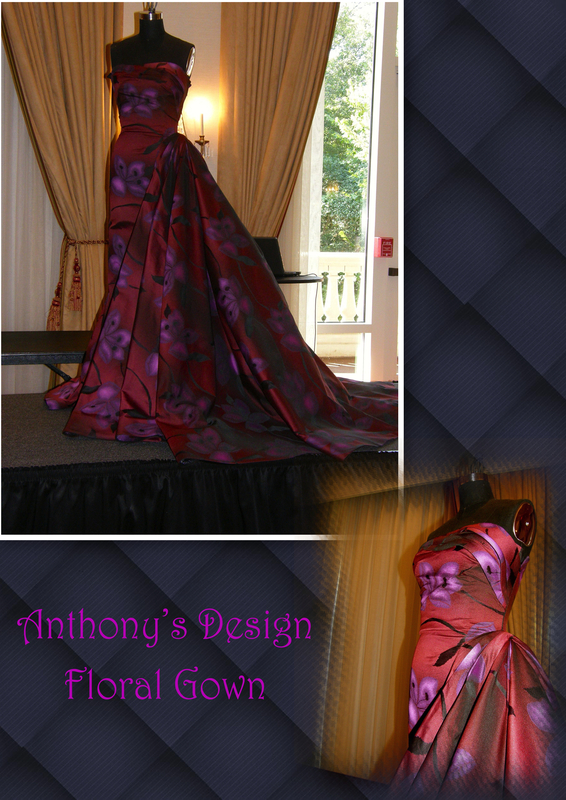 Anyone in the Atlanta area, you are invited to the Atlanta Chapter of the American Sewing Guild Fall Fashion Show. September is National Sewing month and we are celebrating in style. Anthony Williams from Project Runway is our guest MC. All the fashions are made by ASG members, students, and future designers. I am currently working on a fabulous outfit to model and I will blog about it in the future. For tickets go to this Atlanta Sewing Guild link. The deadline to purchase tickets is this Friday, August 29. There is something about a simple sheath dress that states sophistication. The classic sheath can be dressy or casual, but even in a casual fabric it is still classy. One day at Gail K’s, I was shopping for fabric to make a prototype for one of my husband’s inventions, I found this beautiful red tone on tone silk. I love silk so I just had to have it, my immediate thought was to make a simple sheath dress, and this is what I came up with. 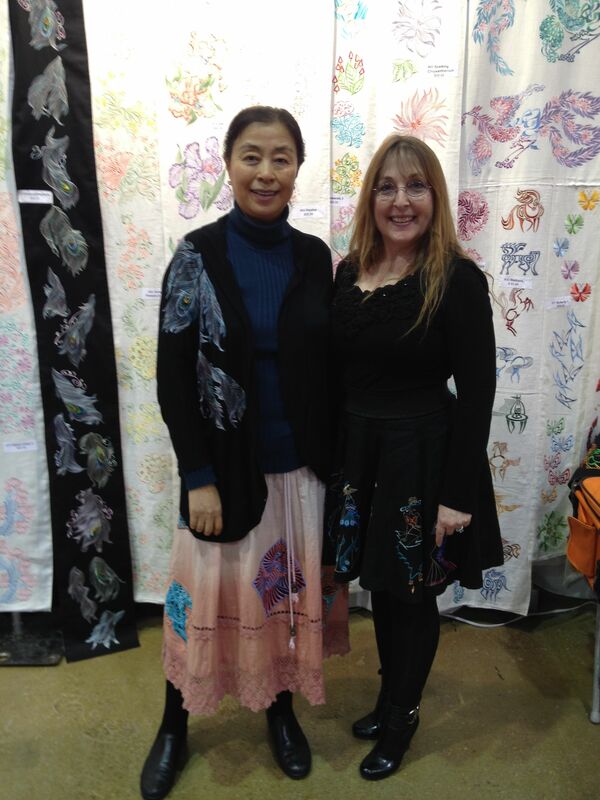 Not too long ago a friend from ASG sent out an email about a free downloadable pattern from Marfy Patterns. I had never heard of them before so I thought I would check them out, who doesn’t like something that is free. Right? On the website there were three free patterns, a top, skirt and jacket. I felt like I had hit the mother load. LOL I downloaded all three of them and decided to make the cute top. In this article I will show you the steps in how to tape the downloaded pattern together, because there definitely were some challenges that I will explain. 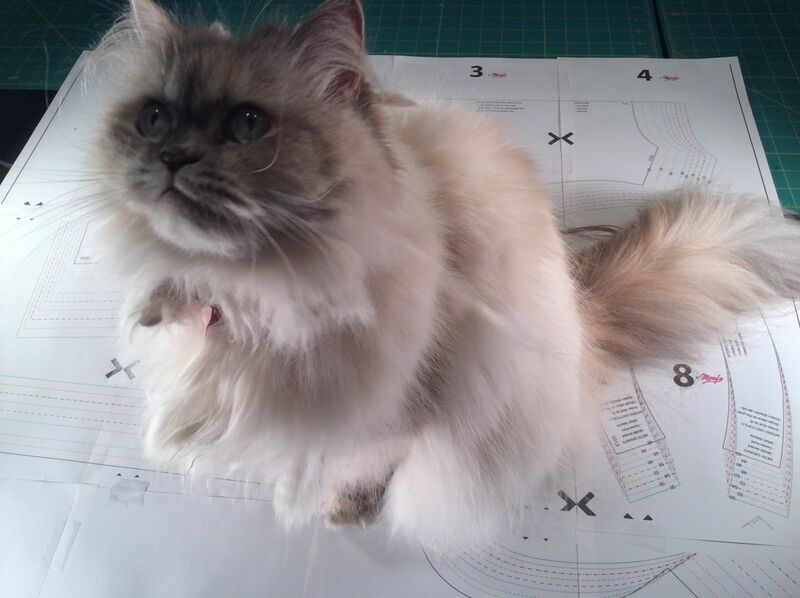 I will show you the solutions I came up with, and the link to the free patterns, if they are still available when you read this. What I have learned about Marfy from their website is that they are an Italian pattern making company. They hand make each pattern and are known for their workmanship, styles and precision. Find out more about them here. I personally can’t wait to try one of their actual patterns (not a downloadable one). Their styles are fabulous!!! Just a quick post… I’m now on Twitter. Follow me for quick sewing tips and hopefully some fun. Please excuse my errors because I am still learning to Tweet. Let’s laugh and have some fun.